This mid-market hospitality complex in Cleveland’s eastern suburb was tired and attracted no material food and beverage business beyond its lodging guests. New owners sought a quality, cost-conscious renovation that made the hotel mass more residential and appealing, added a new port-te-cochere that both clarified entry/ registration and created a more welcoming experience. 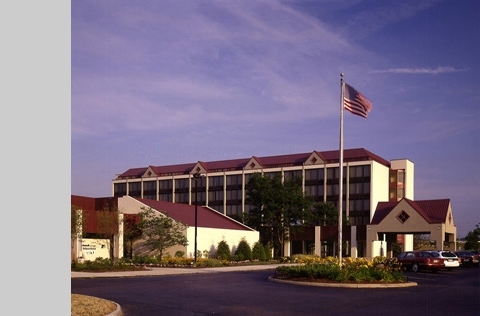 The design developed added a gabled roof to the hotel annex, and repeated the gable form at the new entry podium. Structural problems with existing cantilevered stair towers were repaired and new glazing features added to break down the scale of the six-story hotel form. The interiors were renovated, including the main restaurant, “Mantels,” which features a new fireplace feature and a traditional upscale design that now boats a lively outside business. 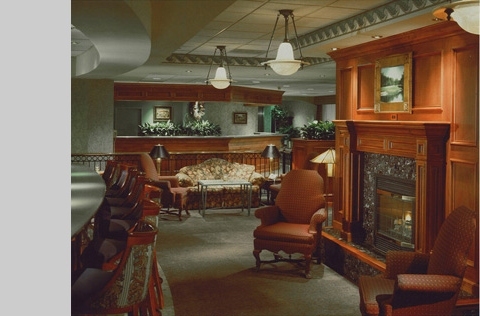 The bar area was converted to a lounge oriented to younger professionals which is its own draw. 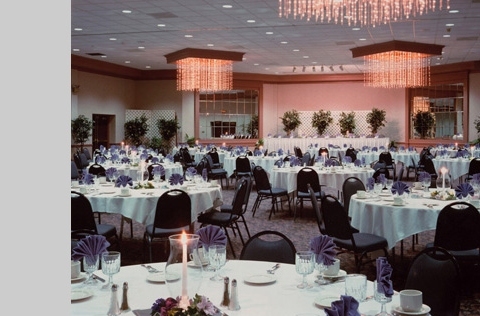 The main banquet facilities were renovated with new finishes, lighting and furniture to accommodate varying lighting scenes demanded by increasingly technology-oriented presentations.